Exclusive! 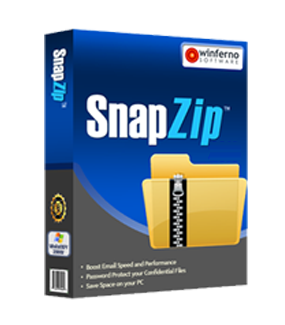 Only SnapZip features advanced photo compression. 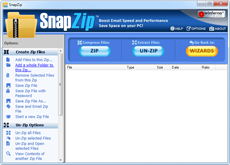 When zipping a photo, SnapZip offers you the option to compress your photos to screen quality, thus making the photo even smaller. Using SnapZip to zip your files makes them up to 5 times smaller than they once were. This makes them easier to send over email - guaranteed. 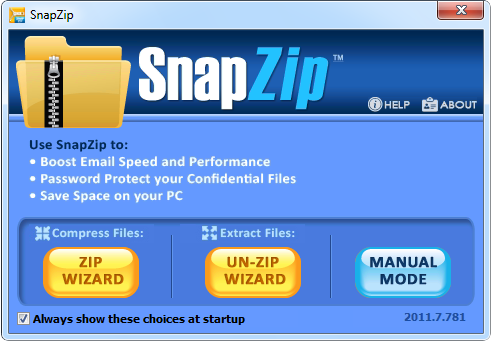 SnapZip even has a feature that automatically attaches your "zipped" file to an email. You can drastically free up disk space in just minutes. Zipping your files makes them as much as 5 times smaller than they once were. 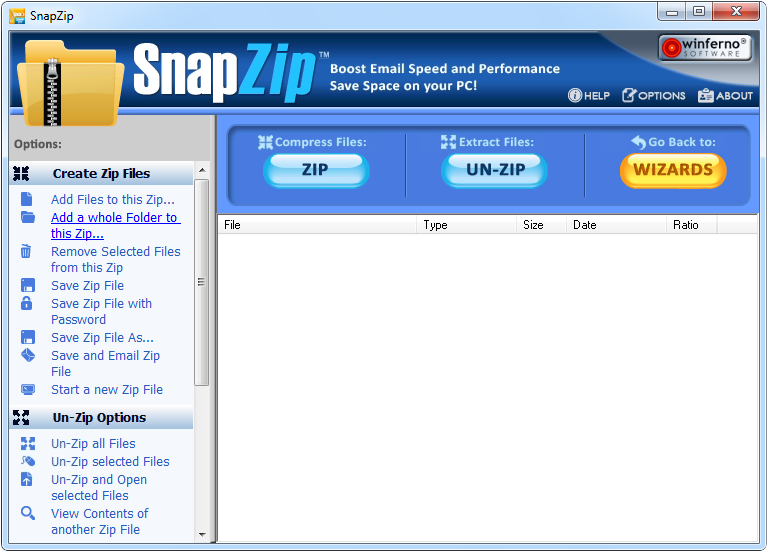 Best yet, when you go to Un-Zip your files, they are in the exact same format as when you Zipped them. This means that you can edit and change them.